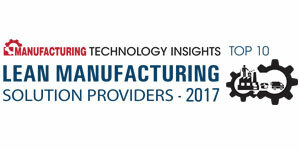 The manufacturing landscape is changing rapidly, and the stakes have never been higher concerning efficient production. Today’s solutions don’t identify the real contributors of change–people. Without empowering people, it is impossible to drive improvement. That’s what Leading2Lean is all about. The President and CEO of Leading2Lean, Keith Barr identifies, “The universal requisite for manufacturers to compete globally is driving the need of labor cost reduction without compromising on product quality.” Efficiency in production includes lowering labor cost, choosing between off-shoring and on-shoring, and overcoming production interruptions and anomalies on the plant floor. Every day, people use Leading2Lean discovering new areas for improvement, realigning team priorities, and realizing improved operational effectiveness, enabling customers to achieve success. Leading2Lean’s CloudDISPATCH, a fully managed global SaaS solution captures the behavior of the workers in real-time for comprehensive reporting on production performance, operational availability, and aligns workforce behaviors to right priorities assisting problem solving. It enables real-time visibility and operations management, without sacrificing the power of existing solutions. The multifaceted flagship product incorporates methodologies like Manufacturing Execution System (MES) and Manufacturing Operations Management (MOM) complimenting manufacturing procedures. This real-time execution system captures and quantifies abnormality impacting production, allowing creative problem solving and just-in-time information to the engaged plant floor teams, empowering strongest assets —people — by bringing everything behind one glass pane: Real-time dispatch, analytics and reporting, and integrated systems, eliminating dark spots throughout the organization. Leading2Lean Engines (L2L Engines) are deployed with CloudDISPATCH to monitor production management, maintenance management, product inspection and quality management, traceability and cross-platform integration providing real-time execution methods to the workforce enabling a faster response, assurance of standards and knowledge complying with manufacturing-specific workflows and analytics. It enables real-time visibility, sustainable improvement, and operations management, without sacrificing the power of existing solutions. Further, the company believes in leveraging their extensive experience to bring the best practices on the plant floor. Barr iterates, “Our customers perceive us as an extension of their team as we mold our business model around their success.” The largest share of new opportunities for firms comes from existing clients who are benchmarked due to significant improvements in operational excellence and work culture. Autoliv, a tier 2 auto safety product supplier for automotive Original Equipment Manufacturers (OEMs) equipped each facility with its own dedicated maintenance staff, Computerized Maintenance Management System (CMMS) program, and parts inventory system, thus decided to deploy CloudDISPATCH platform globally over 90 manufacturing facilities. The platform helped the client monitor and streamline production processes, and drive their philosophy of “one product one process”, ensuring consistent delivery of products to their customers while achieving company targets. Implementing CloudDISPATCH platform provided Autoliv a path to engage human capital in resolving abnormalities, driving waste out of business, and achieving continuous improvement cultures at every one of their plants globally. TraceCloud, a new CloudDISPATCH engine syncs the production data across multiple manufacturing facilities. Barr added, “TraceCloud drastically saves time identifying, solving and containing quality problems, saving companies millions of dollars.” The effects of Leading2Lean’s solutions is observed in how they transform work-floor culture, driving engagement levels of the employees on an exceptional scale as well as the bottom line results their customers achieve. “To us, it is a great win because having our customers achieve operational excellence is our goal and making the environment better for employees is a never ending quest,” Barr concludes.